Tallies collected since Election Day by two non-profits suggest hate crime has not grown since Donald Trump became President. In the week following the election, the Southern Poverty Law Center (SPLC), a hate crime research non-profit, reported over 700 “hateful incidents.” The organization noted that many of the incidents couldn’t be verified. Moreover, the following week, the incidence rate dropped to about 10 a day—significantly less than the daily hate crime incidence rate reported by FBI. In 2015, the last year with available statistics, law enforcement reported to the FBI 5,850 hate crime incidents, averaging about 16 a day. Liberal blog ThinkProgress also tallied “incidents of hate” since the election, though it set more stringent criteria excluding “more general instances of hate or racism … such as vague online harassment and graffiti with no clear target or intent.” It collected 262 incidents over three months, averaging fewer than three per day. Though it is likely both the SPLC and ThinkProgress tallies are incomplete, they don’t show any increase in hate crime beyond the first week after the election. SPLC identified 13 false hate incident reports and 26 anti-Trump hate incidents between the Election Day and Dec. 12. In 2015, the FBI registered about a 7 percent increase in hate crime incidents compared to 2014. Compared to 2013, however, hate crime was slightly less. 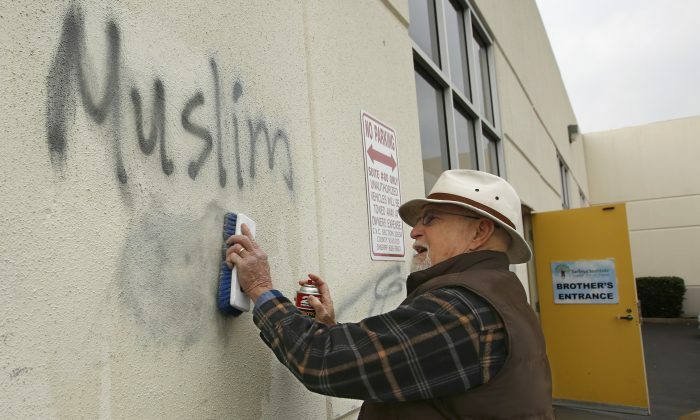 Compared to 2010, hate crime in 2015 had dropped almost 12 percent. One notable increase: 257 anti-Muslim crimes in 2015 represent about a 67 percent increase since 2014 and over 90 percent increase since 2013.